We Buy Entire Estates in Orlando, FL - Pay Top Dollar! Buying Entire Estates in Orlando, Florida. Busby Antiques and Collectibles is always looking to make quality entire estate purchases. If you have an entire estate that needs to be liquidated, please contact us for a consultation. Whether you are a probate attorney, trustee, or a family member dispersing and estate, we can provide you with a proposal for purchasing your whole estate that will be custom tailored to your specific needs. 24 years of experience means very few “Sleepers” get past us: For years we’ve made a good living finding treasures that other professional estate sale companies miss. For example, a set of unmarked Chinese Export Silver tumblers that I paid $125.00 for at a competitor’s estate sale sold for $5000.00. I would have paid you $3500.00 as a client. Instead, this person netted $93.75 with a competing estate sale company. This is just one of many, many examples. Put our extensive knowledge of high end items to work for you! We will give you a real cash offer for your items, not an estimate of what the estate may sell for. You will often net more by dealing directly with us, especially if you have high quality and rare items! 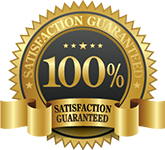 100% sell through: We will not have leftovers that must be donated; we can buy the entire contents (including vehicles). In some cases, we can even buy the real estate! Selling your Estate? Contact Us First! Selling China? Please submit a photo of the back and front of one of the items, preferably a dinner plate. In the comment section include a list of items and quantities. Selling Crystal? Please submit a close up photo of one of the items so that we can identify the pattern. In the comment section include a list of items and quantities. Selling Silver? Please submit a close up photo of the item and photos of any identification markings. All other items please submit photos and any other information in the comment section. Accepted file types: doc, jpg, pdf, . You can upload your photos here (up to 8 photos per email). NOTE: Do not attach any high-resolution images.